The human immune system is powered by antibodies. When the body detects a threat like bacteria or viruses, lymphocytes produces proteins called immunoglobulins or antibodies to save the day. Antibodies are shaped like the letter Y and each Y pairs perfectly with a specific antigen. Antibodies also play an important part in allergies and certain blood disorders that affect pregnant women. If there is a problem with the immune system, antibodies can be released when there is no real threat to the body. If the threat is a natural part of the human body the reaction is termed an autoimmune disorder. This occurs in conditions like lupus, celiac disease, Grave’s disease, multiple sclerosis and type 1 diabetes. According to the National Institutes of Health there are more than 80 autoimmune disorders. Allergies work similarly to autoimmune disorders, but the threat is not native to the human body. Allergies are an immune reaction to an outside stimulus that the body would normally ignore. Foods, pollen, man-made materials and natural materials are all sources of allergic response. When the body comes in contact with the allergen, antibodies are released as a means of protection. Pregnant women have successfully given birth while suffering from autoimmune disorders and allergies though there are increased risks of complications. 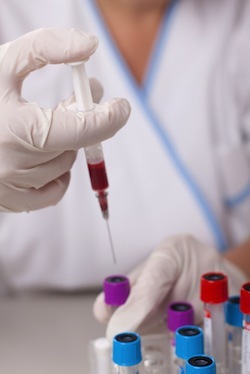 Auto-Antibodies are typically kept in check with various treatments and medications. A a screen a woman's red cells for the Rh-Factor as well as an antibody screen are usually ordered in the first trimester of pregnancy to diagnose or rule out Rh factor, whether the mother's red cells are Rh-positive or Rh-negative. Having no Rh factor, termed Rh negative, means the female body may produce antibodies that cross the placenta and attack fetal red blood cells. Pregnant women who are Rh negative are often given a minimum of two shots of Rh immunoglobulin. One shot is administered in the 28th week of pregnancy and a second shot after birth. The shots stop the sensitiziation of the mother against Rh-positive blood as well a the production of antibodies against the fetus. On the flip side of the coin are the benefits of antibodies. Breastfeeding supplies healthy antibodies to the newborn via breast milk. The antibodies protect the fetus against illness and disease at a time when an immature immune system is not strong enough to protect against common bacteria and viruses. First milk, called colostrum, is rich in antibodies that facilitate a healthy immune system.